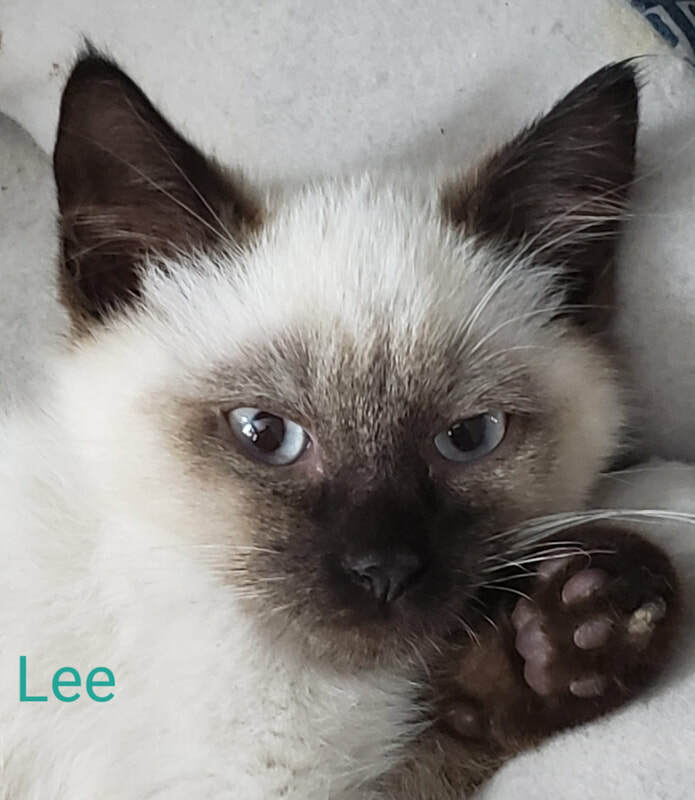 Lee is the most laid back kitten in his family; he's the kind of guy who could just sit in your lap all day and be content. He loves to snuggle under the blankets with you, especially if you're reading. (But he does promise not to turn the pages on you.) Even though he's a mellow snuggle puss, Lee does like to play! He can keep himself entertained, and he plays well with his siblings and adult cats he's fostered with. Something about the set of his eyes makes him look like he's musing about the universe (and looking a bit sad about it) unless he's playing, and then he just looks like he's up to no good! If you need a personal lap fungus with adorable toe beans, Lee is waiting for you!